After 32 successful years running the well known haberdashery and sewing shop Sewing Machine Services in Corby we have made the decision to rearrange our sewing machine repair and service operation. We now offer repairs and servicing from our local workshop, in Northamptonshire. 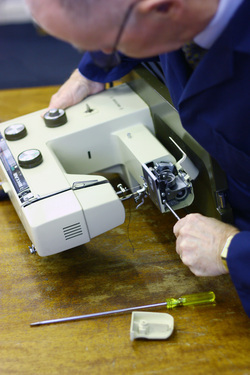 We also offer clothing and curtain alterations carried out by an experienced seamstress with over 30 years experience.